(Newser) – A man plotted to massacre dozens of people at a Masonic hall in Milwaukee in what he called an operation to "defend Muslims," federal agents say. 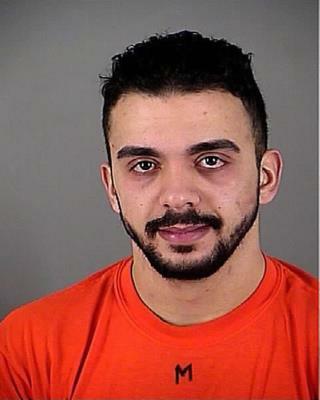 According to an FBI affidavit, 23-year-old Samy Mohamed Hamzeh was recorded by two undercover agents plotting to storm the Humphrey Scottish Rite Masonic Center and kill at least 30 people to show the world "nobody can play with Muslims," the Milwaukee Journal Sentinel reports. The affidavit says Hamzeh told the informants that the plan was "to annihilate everyone" in the center and spark more mass shootings. The FBI says Hamzeh was arrested and charged with weapons offenses on Monday after buying two machine guns from undercover federal agents. His name is Mohamed? Wow. I didn't see that coming!